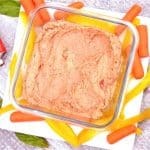 Hummus is a favorite snack and lunch item around our house. 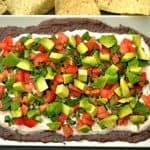 My kids love it rolled up in a tortilla for lunch, or as a dip for veggies. I personally love making a batch, and having something easy to grab when I am on the go and not home for lunch. 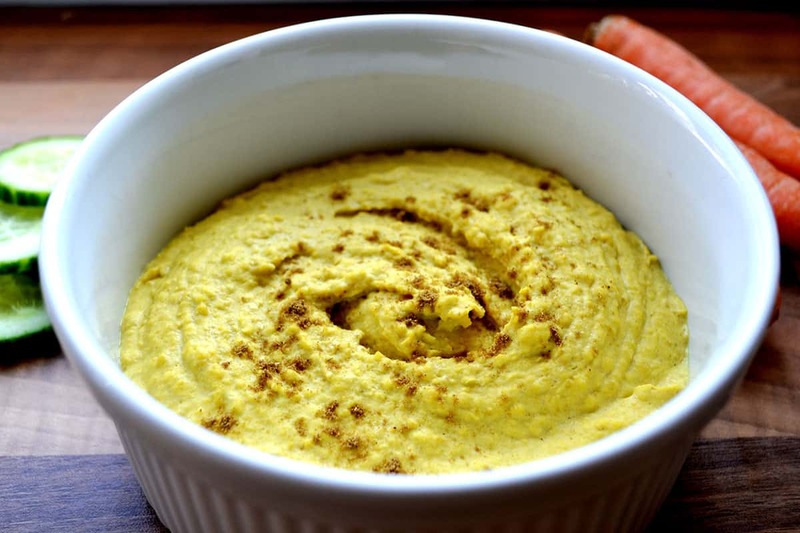 Hummus is a healthy combination protein and fat using chickpeas and tahini (sesame seed butter). Tahini can usually be found in your Asian section of any grocery store and is best stored in the fridge after opening. 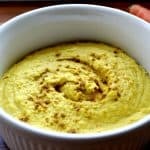 In this recipe, I added a teaspoon of turmeric. If you are not yet familiar with turmeric, it’s a spice that has been used in India for years for both taste and medicinal purposes. It has been shown to have an anti-inflammatory effect on the body, and is a powerful anti-oxidant. I like to throw it on many foods, add it to salads or sauces, or toss some into a smoothie. To get the full effect of turmeric, you need about a gram a day. This is quite a lot and hard to do by just adding to your food. However, a little bit here whenever you have the opportunity is a great start! The taste is very subtle, but as you can tell by my picture, it gives food a powerful yellow tint (also what gives curry its yellow color). Pulse until smooth (about 1 minute). Add water by the tablespoon if your mixture is too thick.